We kicked off last night with an open air concert by Andrea Bocelli in Teatro del Silenzio in his home town of Lajatico. What can I say? If God sang he would sound just like Andrea Bocelli... bellissimo. Of course, if you've seen it already then you'll get the Savage Chicken joke. Safeguard the future for everything you hold dear. 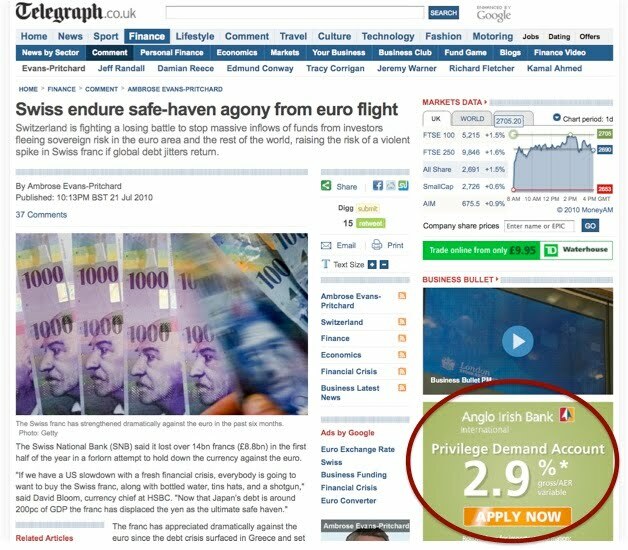 So let me see, rather than move your shrinking savings to a bank account in Switzerland (budget deficit just 1pc of GDP; gross public debt at 40pc; a current account surplus of 9pc; unemployment at 3.9pc; and its 8 million citizens own half a trillion dollars of external assets)... you should move them to Anglo Irish Bank instead. To safeguard the future of everything you hold dear. Now that's what I call powerful advertising. 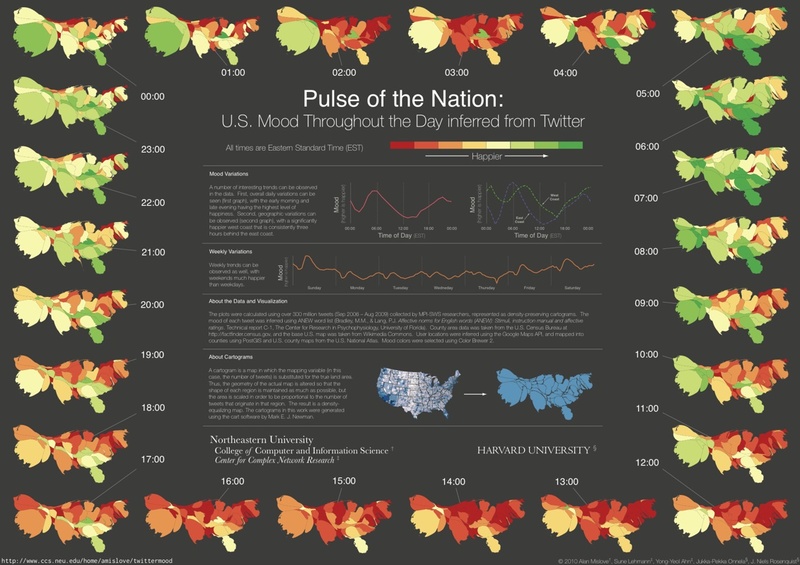 This is the kind of thing we should be doing in Ireland: mapping the mood of the nation - literally. 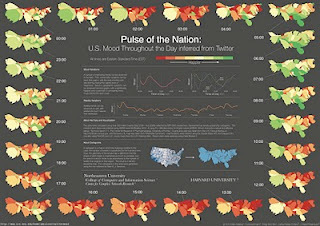 The chart is from a fascinating study by Alan Mislove, which uses data from twitter to gauge the mood of the American nation (ht New Scientist). Some things were surprising - Americans are happiest at 6.00am in the morning (say what?!) - and others not so: Sunday is the happiest day of the week. Just like in Ireland. Expect to see a lot more of this type of emotional mapping: advertisers, politicians and even health officials will soon be using them to better time their messages and other interventions. Mislove has made the Cartograms software available to others to use. If anyone would like to partner on some emotional map making just let me know. 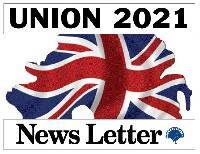 The News Letter have been running a fascinating series on the prospects for Northern Ireland in 2021 - the centenary of the foundation of the Northern Ireland state. Contributors range from Unionist politicians to the Orange Order to historians and many more besides. Together, the contributions add up to an insightful guide to contemporary Unionism and an assessment of its own future. And that assessment is a very positive one: confident that Northern Ireland will still be part of the United Kingdom by the time of the 2021 centenary. By implication, of course, they do not expect a United Ireland by 2016 or any other date this side of their centenary. Partition worked because it reflected reality: there are two nations on the island. Nationalism, in its mystical 32 county incarnation, hasn’t worked because it proposes something that’s not true – that there’s just one. A country 60 million strong can cope with a few hundred thousand unhappy inhabitants indefinitely. Whereas the Irish Republic – the real one – dreads nothing more than the impossibility of a million unionists swamping them and their institutions. ...the “big long-term issue arising from devolution is not so much about Scotland, Wales or Northern Ireland, but about the UK as a whole”. A big question for the next decade but also a big opportunity. Surely unionists, who have talked of little else, can contribute to a new vision for the UK? ...it's about promoting and marketing the long term socio/economic benefits of the Union; contrasting the authentic mammon of a United Kingdom with the bogus god of a United Ireland; diluting the link between unionism and Protestantism; and winning over increasing numbers of people to the pro-Union camp. Put bluntly, it's about maximising the pro-Union vote and representation on the back of a propaganda war built upon confident unionism. As visions go it might lack a certain emotional appeal, but an appeal to 'hearts and wallets' can be just as effective as one to 'hearts and minds'. Of course, defining and mapping the future for Unionism demands an assessment of the future for Nationalism - or at least for those with Nationalist aspirations. Here a very interesting range of opinions emerge: from the 'no-nonsense/bribe them out of their false consciousness' approach of Alex Kane to a 'we were all rebels once but then we changed' perspective from David Hume on behalf of the Orange Order (harking back to the Presbyterians who supported the United Irishmen). My words not theirs, I should add. History is the ghost at the table of any discussion about the future. History comes up a lot in the various contributions - the Battle of the Somme in 1916, for instance. I can understand its powerful resonance in the folk memory of Ulster Unionists - even if my Catholic grandfather also happened to fight in the same battle, along with many of the 17,000 Ulster Catholics who fought in the Great War. More recent history also resonates - the Belfast Agreement in 1998 which effectively committed Sinn Fein to the recognition of partition. May this historic gathering be the prelude of a day in which the Irish people, North and South, under one Parliament or two, as those Parliaments may themselves decide, shall work together in common love for Ireland upon the sure foundations of mutual justice and respect. The visit of his granddaughter - Queen Elizabeth II - will no doubt spark similar deliberations on this side of the border. The News Letter has set the bar high with the standard of its contributions. I hope the same standard will prevail in other discussions about the future of both parts of this island. ...45% of the countries with large outstanding sovereign debts are in default within a 2-3 year period. 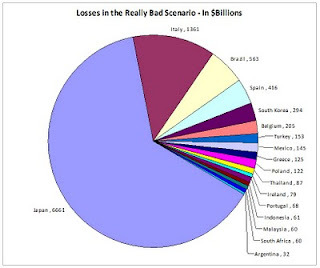 ...The total debt in default reaches $15.3 trillion, and almost half of all outstanding sovereign debt is in default. The losses are $10.5 trillion at the low end recovery rate of 31%. All that cognitive surplus stuff is maybe a bit high-minded. Because as Pew Research recently reminded us, the single largest category for online entertainment is now comedy - for over half of all US internet users. I keep thinking about what will be different after the recession is over compared to the boom that ended three years ago. I was on George Lee's new radio show this morning talking about just that. The one thing I thought would be very different is our relationship with technology. Life after the recession is going to be a lot different to life before. And a lot better connected. Yet another moral panic involving the nation's teenagers: this time it's digital drugs. Even as we're slipping down the international league tables for competitiveness, innovation, standard of living etc, it's nice to know we're punching above our weight when it comes to dying. According the Economist Intelligence Unit, Ireland is the fourth best place in the world to die. Of course, it's a serious subject (of intense personal interest to us all eventually), and the EIU report does highlight the extent to which there are lots of good things happening in Ireland in terms of end-of-life care and related services. A subject we're going to hear a lot more of in the future (demography and all that). 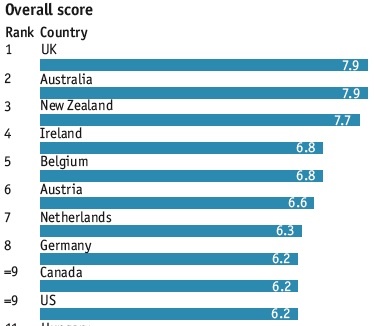 And it's nice to see an area of health policy that Ireland is doing well in, comparatively speaking. Russ Roberts brings a poetic perspective to the post-rationalisations of financial regulators everywhere. I expect we'll hear a lot more woulda-coulda-shouldas from the various parties to Ireland's sovereignty-wrecking bank guarantee. If reports about the long term future are an indicator of imminent economic recovery then rejoice: the green shoots of futurism are bursting into bloom all around us. 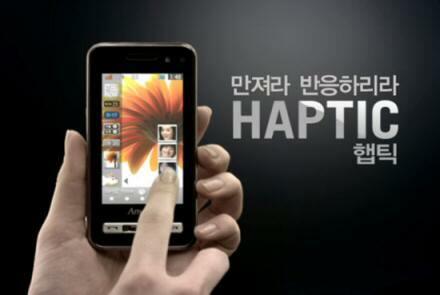 Touch screens respond to the ceaseless caress of our fingers. Sensors in game consoles such as the Nintendo Wii track our hands and arms. We interact with what we see. Soon enough, screens will follow our eyes to perceive where we gaze. A screen will know what we are paying attention to and for how long. In the futuristic movie Minority Report (2002), the character played by Tom Cruise stands in front of a wraparound screen and hunts through vast archives of information with the gestures of a symphony conductor. Reading becomes almost athletic. Just as it seemed weird five centuries ago to see someone read silently, in the future it will seem weird to read without moving your body. Reading as an athletic activity, who would have thought? Still, if even the accountants are looking ahead twenty years then maybe things really are on the up? We should be seriously considering a scheme here where 100,000 people on the dole could be paid an extra €100 per week for the next 12 months to undertake vital work in their community. The work should match the people to their existing skills and training -- whether that is in IT or building. It would be a social work programme, not a social welfare one. There are three reasons I agree with Willie. 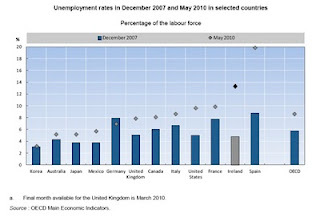 The first is the speed and scale of the unemployment shock we have experienced here in Ireland. 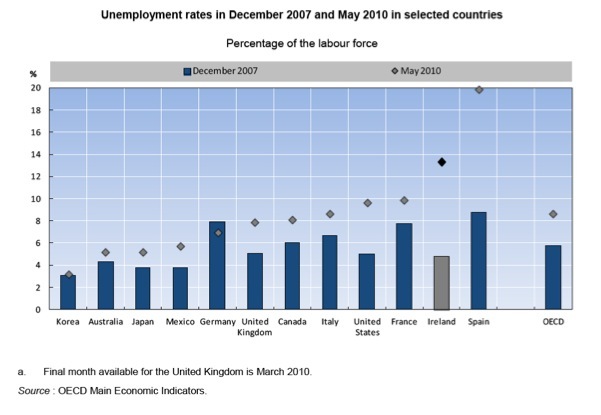 This is illustrated in the chart from the recent OECD Employment Outlook 2010. We will need to create over 300,000 jobs just to get back to 2007 levels. That won't happen any time soon, so initiatives such as the proposed scheme have value simply as stop gap measures (subject to their not actually delaying recovery in the job market). The second reason is the dire consequences for the unemployed themselves of prolonged inactivity. According to a recent Gallup survey, there are significant differences between those unemployed for three months and those unemployed for six months in terms of their physical and mental health. The data doesn't cover the long term unemployed: who number over 90,000 in Ireland. The third reason is the unique nature of Ireland's unemployment shock: we are experiencing the most severe 'mancession' of any country in Europe (a fact that remains virtually unreported by Ireland's MSM) - and initiatives like O'Dea's have the potential to directly tackle some of the problems facing unemployed men of all ages. Problems that include ill-health, lost skills and social isolation. There are risks with initiatives modelled on the Works Progress Administration, as proposed by Willie O'Dea. The first is market distortion - the risk that such initiatives crowd out otherwise viable private sector initiatives. The second is political distortion - with politicians vying to secure a larger share of the pie for their constituencies (not in Ireland surely?) The third is bureaucratic distortion - think Fás. I believe some of these objections can be dealt with if the initiative is of a mandatory, fixed duration (24-36 months), with a requirement to terminate it sooner should the unemployment rate fall below, say, 10%. Unlikely I suspect. And I think the intelligent application of crowd-sourcing technologies (including skills-sourcing, resource-sourcing, work-sourcing etc) will help make it more efficient and cost effective. In the medium to long run we will need to ensure that domestic distortions to labour force participation are removed (such as the minimum wage, one of several distortions identified by the OECD), as well as European distortions (including the task of completing the Single Market). But the risks we face if we do nothing in the short term warrant the type of initiatives proposed by O'Dea. There, I said it. Democratic parliaments are not forums where debates take place, but rather where popular absolutism registers its decrees. Many politicians and gay rights advocates wish to go further but reluctantly accept that providing for gay marriage itself is currently beyond the capacity of the political system to deliver. Translation: the Irish people aren't ready just yet to lift their knuckles of the ground long enough to tick the 'Ta' box in a referendum, but don't worry, we're on the case and the task of creating an 'equality heaven' here on Earth will not be stopped. Or something like that, but you get the drift. The good news, for those of us who long for freedom from the absolutism of our intellectual and ethical betters (when they're not on holiday), is that help is at hand. Or online, to be precise. The Americans, as ever, are ahead of us with their growing passion for the potential of Gov 2.0: using the tools of social networking, like Facebook, apps etc to crowd-source ideas and solutions that will break us out of the economic and democratic deficit facing every government in the developed world. The UK government are even crowd-sourcing ideas for cost savings in the public sector - open air government indeed. The imperatives and expectations created by the internet will force change in institutions, no matter how resistant they are. There is simply too much pressure from the ground up for institutions to remain as they are. Media companies are classic examples of organizations that have to respond to the new digital realities. The place all institutions will have to start is listening more intently to their stakeholders. “Molecular democracy” is asserting itself. The experts surveyed in the report expect government to lag business in responding to these new imperatives. However I suspect as more governments are mugged by reality then they will be forced sooner rather than later to seize the potential of Gov 2.0. 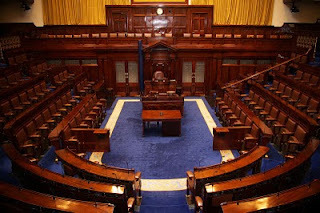 One outcome I foresee will be an end to the need for irregular gatherings of expense-claiming representatives in legacy chambers from a bygone age. Soon they will be able to log in (from their holiday homes no doubt) and vote virtually, assuming decisions have not already been devolved to the communities and regions better able to deal with most issues. 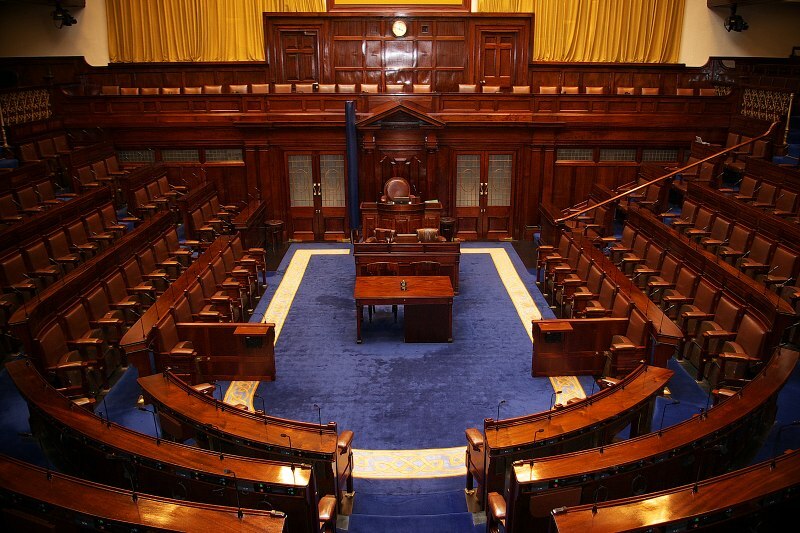 If a choir can do it, why not a Dáil? Of course, the tools of Gov 2.0 can be used for evil as well as good, or as Don Colacho put it: "In politics we should distrust even intelligent optimism and trust in the imbecile’s fears." Fear and anger make interesting bedfellows and they will play a key part in shaping the Irish people's response to the ongoing failure of our 19th century model of parliamentary democracy. Their anger at the failure of our politicians to deal with the real issues affecting the daily lives of our fellow citizens will give way to a fear that the same politicians are simply not capable of dealing with the issues. That is when the necessity of effective reform will become mother to a new type of politics, one that doesn't even need politicians (most of them, of the time, anyway). Don Colacho would have approved. It's official: Christian Nold is a genius. I know I've sung his praises before, but his latest initiative - the Bijlmer Euro - goes way beyond even his past achievements. The idea is ingenious but simple - the best ones usually are. He has created a new currency that turns euro bank notes into 'smart cards' that reward loyalty and track usage. The smart technology comes from used tickets from Amsterdam's public transport system which contain RFID-tags. 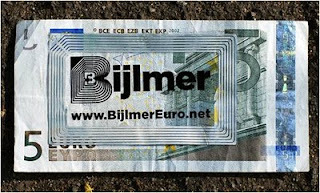 These tags are recycled by sticking them on euro notes, along with a Bijlmer logo that users download and print out. The euro notes are used just like ordinary cash, but the big difference is that Nold has joined forces with local businesses in the Bijlmer area of Amsterdam to offer special deals to those using the notes. It's a 'local currency' that's legal tender. He has given participating businesses equipment to record the usage of the notes so transactions can be monitored and mapped. Literally the velocity of money - available in real time. The Bijlmer Euro is a Parasitical Currency that piggybacks on the ubiquity of the Euro as a vehicle for its own mobility. A Bijlmer Euro is worth more than a normal Euro because it carries local trust and good will. Like I said, the guy's a genius. I expect to see a lot more initiatives like the Bijlmer Euro. Richard Douthwaite has written evocatively about the local currency schemes that flourished in Europe during the Great Depression. It's happening again only this time I don't think the central banks - even the ECB - can crush it like they did in the 1930s. Let a thousand currencies bloom. I think we are on the cusp of an extraordinary cultural renaissance, fuelled by the Cognitive Surplus I reflected on in my last post. The evolving fusion of our innate artistic impulses with emerging new tools for creativity will be as impactful as were those of the printing press and the invention of radio and television. And the new creativity will create new industries alongside it, with new opportunities for job and wealth creation. "Behaviour is motivation filtered through opportunity". I've been thinking a lot about economic growth and where it's going to come from. The standard textbook assumption is that increasing productivity in Ireland will deliver increased growth. And it will, as it has before. 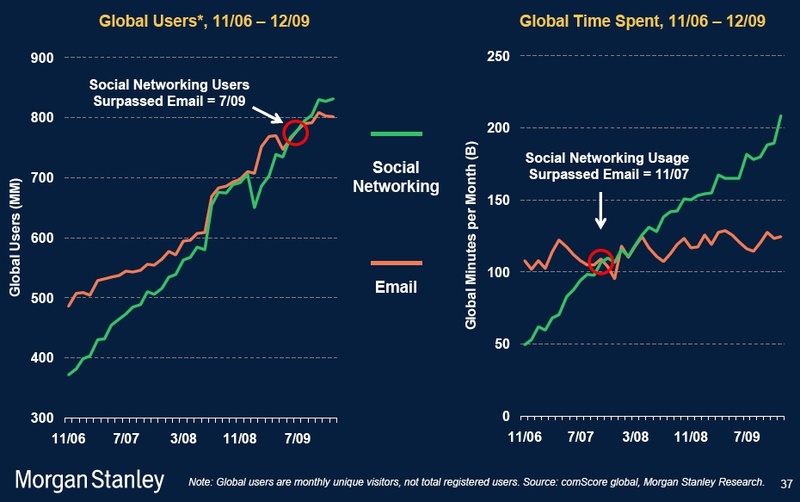 But what will drive productivity? 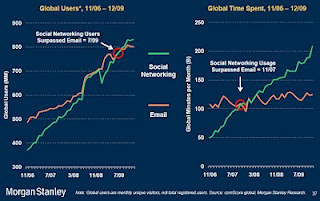 Sustainable increases in productivity come from successful innovations. The key word is 'successful'. 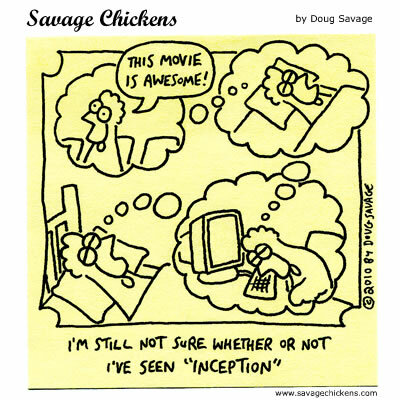 Lots of innovations are more in the eyes of the beholder than those of any potential users (or investor, for that matter). Which is where the Cognitive Surplus comes in - as defined by Clay Shirkey. His key insight - that behaviour is motivation filtered through opportunity - means that technological winners are those that provide new opportunities for established human motivations to manifest themselves in new ways. Nobody wanted to be on Facebook ten years ago - it didn't exist - but now nearly 1.4 million unique users are on Facebook in Ireland at the time of writing (their numbers have doubled in the past 12 months so I realise that number will become dated quite quickly). But our motivations ten years ago - for novelty, for friendship, for fun - are still the same. Shirkey shares some great stories about the power of the Cognitive Surplus to invent and reinvent our lives in a recent RSA lecture - it's well worth downloading the podcast. He's on to something: the next wave of productivity increases will come from the power of the Cognitive Surplus to accommodate our motives in new ways, and to make them manifest through new behaviours. Including our working behaviours - which is where the new sources of productivity increases and economic growth will come from. Americans have always had a healthy vigilance about their government. Most of them anyway. Their own history shows what happens when 'a long train of abuses' leads to the usurpation of basic rights. Right up to the current incumbent in the White House, who presided over a four-fold increase in the remote killing of suspected terrorists with drones since coming to power. Along with the collateral killing of 1-2 innocent civilians for every 'legitimate target'. But of course Obama is a Democratic from an ethnic minority background, which gives him effective immunity in the eyes of Ireland's commentariat. Where have all the Shannon protesters gone? But coming back to 'the consent of the governed': have you given your consent recently? 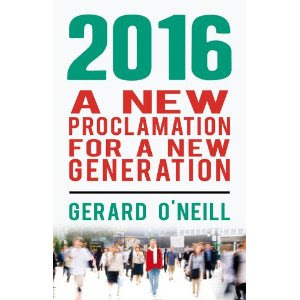 Do you remember, for instance, voting for a Fianna Fail/Green coalition at the last election? Funny, nor do I. And yet here we are with a government that refuses to let public sector employees exercise freedom of conscience, to let people living in the countryside to hunt, and intends to prevent parents from smacking their children. So far it doesn't add up to 'a design to reduce them under absolute Despotism', but the direction seems fairly unambiguous. It's a direction that gives government more power over the private lives of citizens, especially over the lives of families. Such, of course, has been the ambition of all ideologues down through the centuries - Marxists, National Socialists, Feminists, Islamists and Environmentalists. For the family is a refuge of privacy - away from the all-knowing, all-seeing gaze of government. And ideologues hate that: for without control they don't have power, and without power they cannot reshape people and society into the utopian plan they have for us. For our own good, of course. We're working to create a more open and less intrusive society. We want to restore Britain’s traditions of freedom and fairness, and free our society of unnecessary laws and regulations – both for individuals and businesses. I think this is a remarkable development, and a harbinger of a new relationship between government and citizens that is very much in keeping with the spirit of the Declaration of Independence. Will we see its like in Ireland? I wouldn't hold my breath - our present incumbents are too wedded to the wielding of power to ever voluntary reduce it. 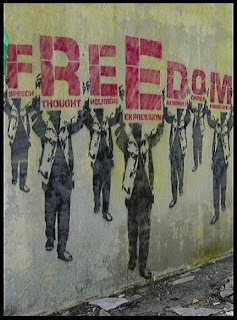 But ideas can spread - as did the idea of freedom from tyranny in 1776 - and I am hopeful for freedom's future. Happy Independence Day to all freedom lovers everywhere. The folk at Elliot Wave International say that the growing panic about debt (consumer, bank and sovereign varieties combined) is about avoiding the onset of 'Type II Debtabetes'. Just as Ireland was once the poster child for economic development back in the 1990s - Prosperity's Child - now we find ourselves being lauded (or castigated by some) as Austerity's Child - showing the rest of the world how to respond to the debt crisis. 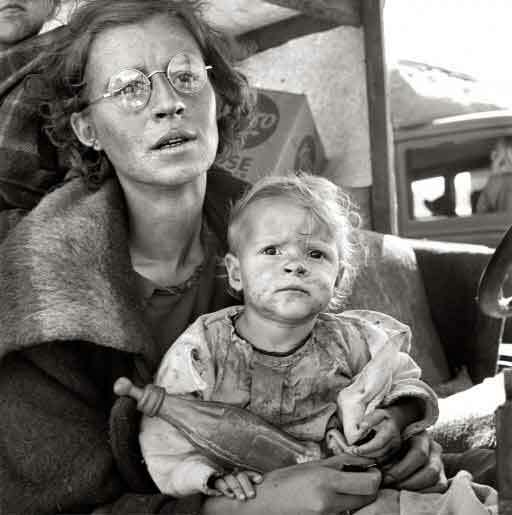 The castigators include Paul Krugman, who sees that a terrible ugliness is born. On the other hand, Megan McArdle points out that Ireland's austere path to recovery challenges the 'stimulate and hope' school of macroeconomics favoured by Krugman. Tyler Cowen probably calls it right: a small, open economy like Ireland doesn't have the same policy options as the US and other large economies, and has had to make the best of a situation with no easy way out. He's also right that we will just have to wait and see before meaningful, long term implications can be inferred about what works and what doesn't work. But what interests me is the response of domestic economic commentators to the unfolding crisis, especially in recent times. There seems to be a lot of consensus on some key issues - such as the need to maintain/expand the government's capital spending commitments - as well as on the need for the government to change course on Anglo Irish Bank before it's too late (though it may already be just that). The key differences relate to taxation and current spending, unsurprisingly. The Left wants to increase the former (on high earners) and protect the latter (including public sector employment), borrowing the difference if necessary; the Right wants to rebalance taxation and reduce current spending (especially via public sector employment), avoiding additional borrowing where possible. I simplify of course. But another odd consensus I see is in relation to the recovery itself. It seems to me nobody - Right or Left - wants to acknowledge any real improvement in any aspect of Ireland's economy. Every piece of 'good news' (and there have only been a few, quite recently at that) is greeted with a chorus of 'yes, buts'. Sure, some of this is down to a healthy scepticism along the lines of 'one swallow does not a summer make'. But I think there's more to it than that: I think there's a fear on the part of many that by acknowledging even a modest, albeit patchy level of improvement in the economy it will be tantamount to letting the government of the hook for getting us into this mess in the first place. Which brings me back to Austerity's Child: if there is a recovery (and all recessions, even depressions, end in recovery) then who will get the credit? Success has many fathers... I don't doubt the government will be as keen to take credit for recovery as they were reluctant to acknowledge culpability for the recession. There part in any recovery will, of course, be greatly exaggerated relative to the real authors of recovery: business owners and their staff who have survived the crisis and then set about creating the jobs and wealth that will sustain economic growth in the future.